We will take care of all documentation and submit your license to the relevant municipalities. We will happily organise and advise on all your documentation and take you to the Town Hall when you arrive to get the license to marry. Advise on suppliers you may be interested in using for your wedding day and even book them for you. 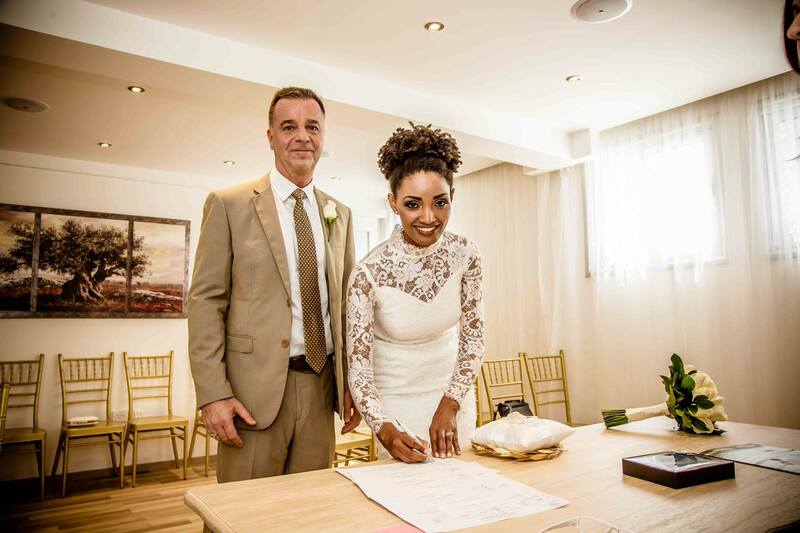 At Exclusive Weddings we organise weddings for couples from UK, Ireland, Wales, Scotland – all over Europe – Israel – Russian weddings in Cyprus – even as far as the middle east Dubai, Qatar & Saudi Arabia. Choosing Cyprus for your dream wedding destination with its stunning coast-line and scenery also know as the island of love is from a practical point is ideally situated to cater to a wide variety of countries. Please note that for countries outside the EU extra costs may apply due to post wedding administration. Your documentation need not be difficult with our professional advice help and guidance every step of the way. Please note: The following fees payable to the town hall or any fee’s payable to the church are not included in our packages. Civil Wedding/Marriage License Fee of €282 apply at town halls before 2 am – after this time there will be an extra charge of €170. Anglican wedding fee is €282 payable to the town hall for wedding license ; plus €700 for the Anglican religious ceremony. Catholic weddings are €650 payable to the Catholic Church. Plus €282 payable to the town hall . Please note – Those Choosing a Catholic Ceremony must have both a civil wedding in a Town hall before the church ceremony can take place. Additional charges apply for the reception venue. We are happy also to help with booking a reception venue on your behalf at no extra cost.